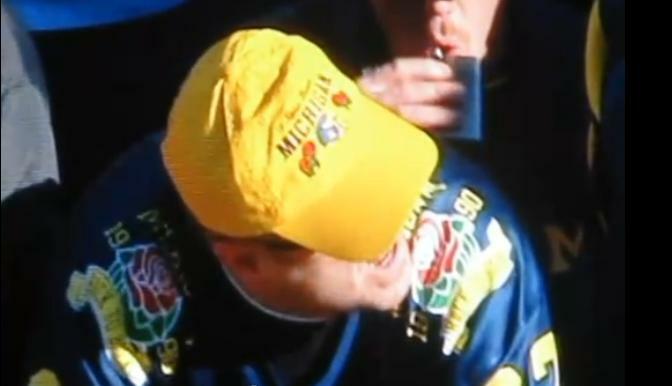 A Michigan Fan takes a sip of his flask on National TV after Illinois scores a touchdown. I saw that live and rewound the tv and took pics of it. Best thing I’ve seen in a long time on tv. Right begind the head coach.